Easily re-measure NPS over time. Make the email performance report double as a NPS report. 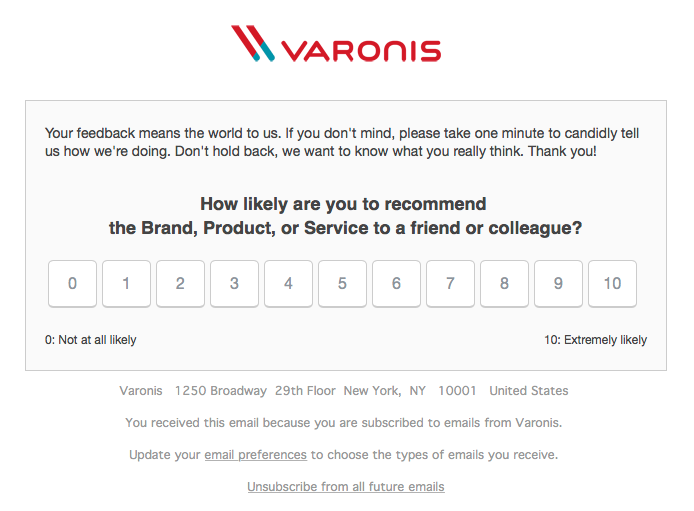 Collect feedback to understand why someone gave you a particular score. Best of all, I’ll give you a custom-built HubSpot-ready NPS email template that you can drop right into your portal. You ask one simple question like “How likely are you to recommend HubSpot to a friend or colleague?” and recipients can respond on a scale of 0 (not likely) to 10 (extremely likely). 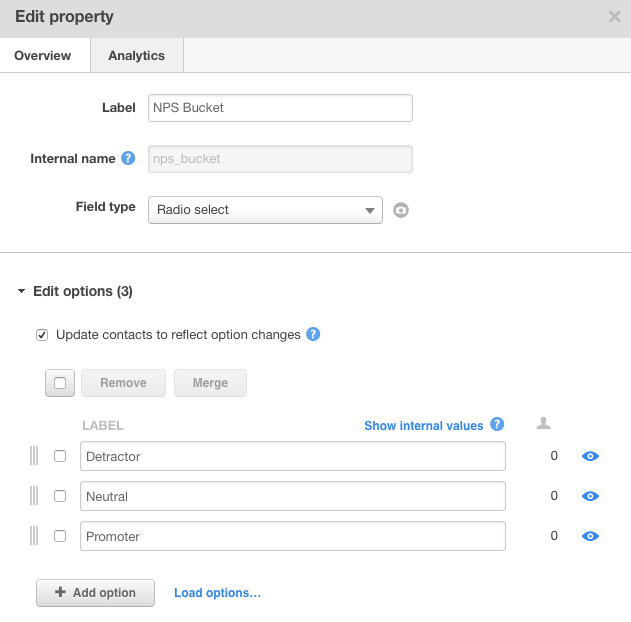 Go to Contacts –> Contact Settings and create a custom radio select property called NPS Bucket. Enter three possible options: Detractor, Neutral, and Promoter. 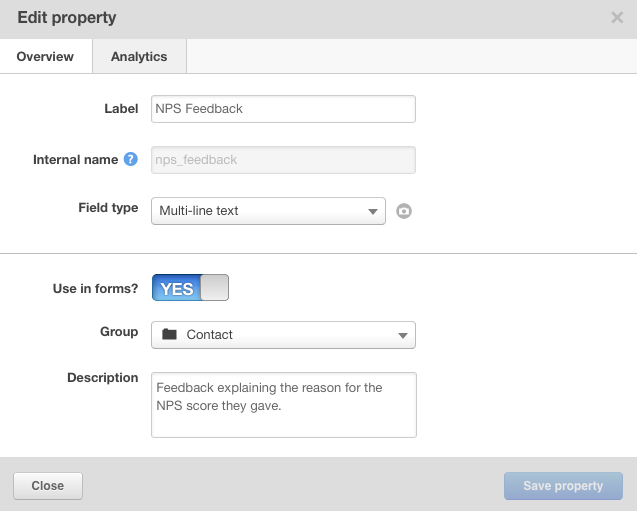 Next, create a multi-line text property called NPS Feedback. 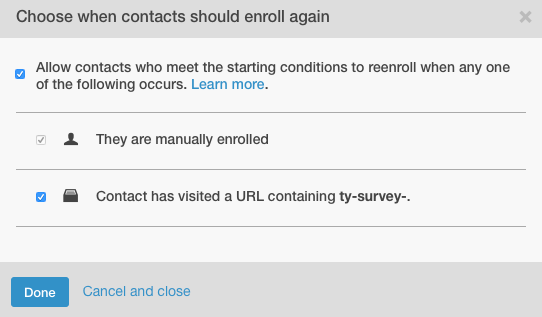 Go to Contacts –> Forms and build a simple form with two fields for our post-survey thank you pages to capture the reason behind someone’s score. Add Email (required) and make it Smart 🔄 so cookied visitors won’t even see this field. In our survey email, scores 0-6 will link to the Detractors page, scores 7-8 to the Neutrals page, and 9-10 to the Promoters page. Each link will have a query string parameter that indicates their score. Don’t worry, this is all built-in to my custom template. You just have to provide your 3 thank you page URLs, which I’ll show you in a sec. I built a HubSpot-ready NPS email template for you. You don’t have to change anything inside the template HTML. It’ll pull in most of your portal’s styles and your logo. 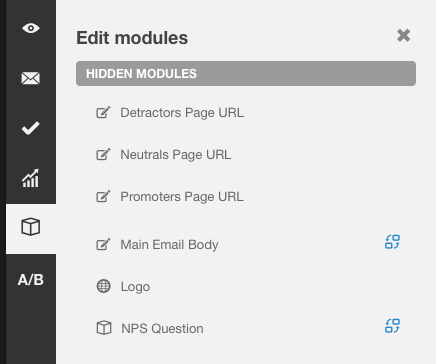 When you create an email using this template, click on Edit Modules in the left sidebar. Here you’ll be able to enter your 3 thank you page URLs. That’s all you have to do. 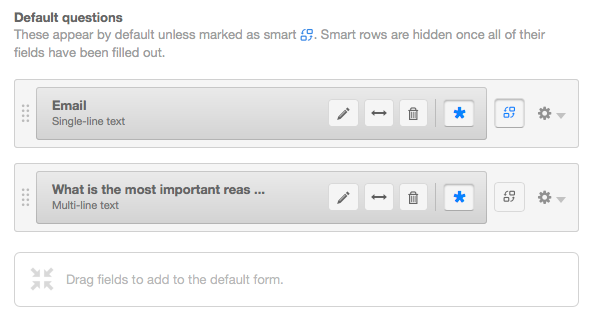 Of course you can optionally change the text of the email. Save your email for automation if you plan to use it in a workflow. Otherwise, add your list and send away! You have to decide when it makes sense to send your NPS survey email. You can send it as a manual broadcast to a Smart or Static List on a specific date to canvas a bunch of customers at once, or you can trigger your NPS survey via a workflow whenever a certain interaction occurs—e.g., resolving a customer service ticket or hitting a product usage milestone. 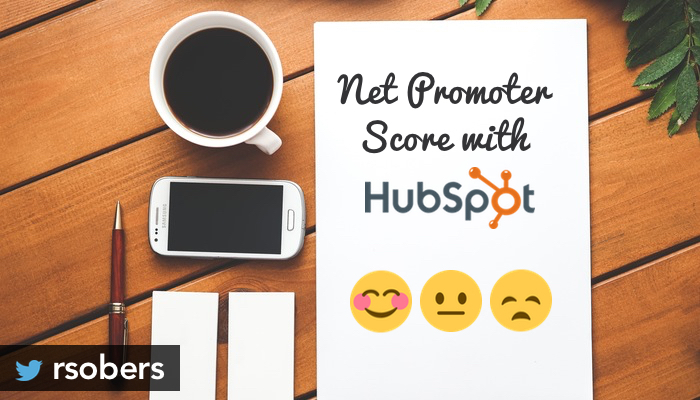 You can calculate your all-time NPS score by creating three Smart Lists based on the value of the NPS Bucket property: Promoters, Detractors, and Neutrals. That’ll give you the bucket totals. 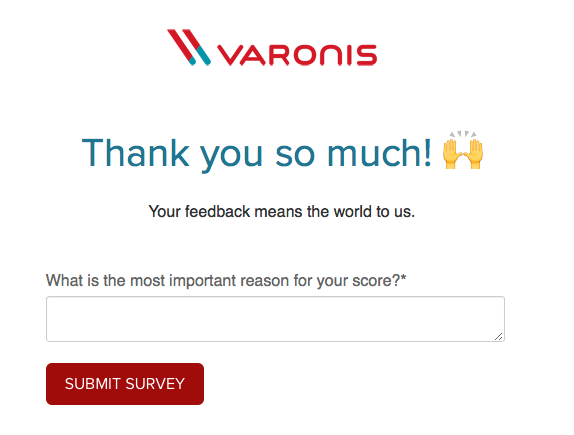 If you send your surveys via an automation email, the performance tab will reflect a cumulative score score for however long that automation email is in play. If you want to put a date boundary on your survey—for example, NPS for Fall 2016—you can simply remove the automation email from the workflow, clone it, and attach the new one (which will have fresh performance stats) to the workflow.